Until now, scientists thought there were only 85 different ways to tie a typical necktie. Now researchers inspired by the Matrix trilogy of movies have discovered thousands more. "There are far, far more knots than were previously known," said researcher Mikael Vejdemo-Johansson, a computational mathematician at the Swedish Royal Institute of Technology in Stockholm. The most commonly used tie knot, the four-in-hand, originated in late 19th-century England — drivers are thought to have used it to tie their scarves around their necks in case they lost the reins of their horse-drivenfour-in-hand carriages. In the 1930s, the Duke of Windsor is credited with introducing what is now known asthe Windsor knot, from which its smaller derivative, the half-Windsor, evolved. It took another 50 years or so until a new tie knot appeared, the Pratt, invented by Jerry Pratt, an employee at the U.S. Chamber of Commerce. Then, at the turn of the 21st century, physicists Thomas Fink and Yong Mao at the University of Cambridge in England analyzed what knots could be tied with a normal-sized necktie. They found 85 knots, which included the four traditional ones as well as nine more "aesthetic knots" they dubbed nice-looking enough to wear. However, Fink and Mao's knots all forced the front of the tie knot — the "façade" — to be a flat stretch of fabric. In 2003, in "The Matrix Reloaded," the second of the films making up the Matrix trilogy, the villain known as "The Merovingian" introduced fancy new knots where the façade was textured with many surfaces and edges instead, tied with the narrow end of a tie. "In early winter 2013, my wife showed me a video tutorial demonstrating the Trinity Knot," Vejdemo-Johansson recalled. "I then quickly found the Eldredge, and I was utterly hooked. I stopped wearing bowties, my main fashion affectation before this point, and started wearing neckties, always with one of these new style knots, with a structured and interesting façade." After discovering these novel knots, Vejdemo-Johansson found that Fink and Mao's research intentionally excluded them. Vejdemo-Johansson and his colleagues then began investigating how many more tie knots might exist. For the sake of comfort, they focused on ties up to 13 moves, and they did not count bowtie knots. Fink and Mao developed a system for describing any tie knot as a sequence of symbols, with each symbol representing a certain move, such as whether the part of the necktie you use to tie the knot goes to your right or left, or wraps over or under the knot. They also specified a number of rules, such as how tie knots must be completed by folding one end of the tie under the rest of it. Vejdemo-Johansson and his colleagues discovered a way to radically simplify this language of symbols and the number of rules for tying ties. This greatly expanded the potential number of ways that neckties can be tied. "We show that if you extend the rules to allow more recently created tie knots, there are many, many, many more knots than Fink and Mao counted," Vejdemo-Johansson said. 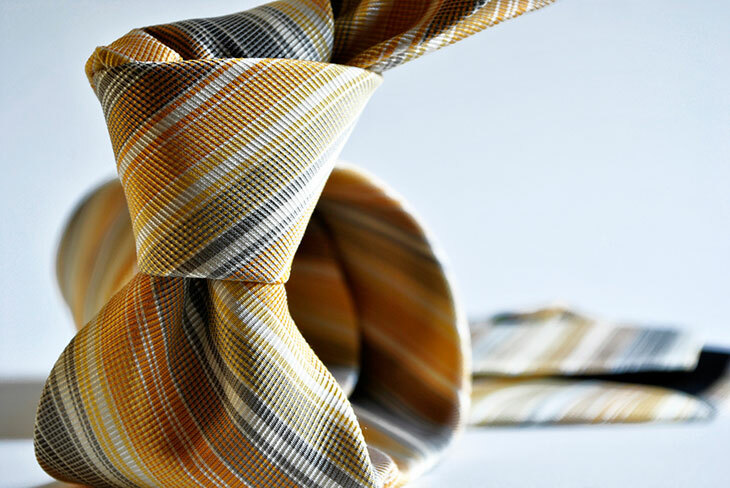 All in all, the researchers discovered 266,682 tie knots that seem tie-able with a normal necktie. Of these, 24,882 are singly-tucked knots like most tie knots that people know how to tie — when you pull the active end of the tie knot under itself to lock it in place, you lift a single piece of cloth to push the tie underneath. 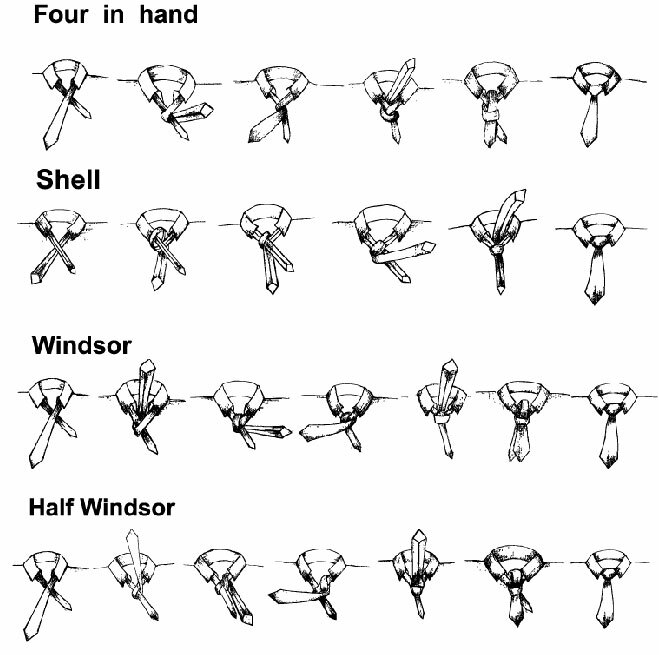 The scientists have a website where one can see random knots from this list with instructions on how to tie them. "Most lecture or lab days, I have started the day by pulling up a random knot and then wearing that," Vejdemo-Johansson said. "Many are kind of weird. Some are very close to the Trinity. And some have turned out rather nice — I've tried to tweet or email myself the best ones I've ran across." Ideally, the researchers would like to develop a computer program that can search all these knots for pleasing styles. Fink and Mao originally proposed a number of ways to measure the aesthetics of a tie knot — for instance, whether the knot looks skewed or not — but these "produce very bad scores for the knots that launched the new culture of tie knots, which leads me to think that those measures might not be the best ones to use for these wider classes of knots," Vejdemo-Johansson said. The future may see even more kinds of neckties. "Our numbers are lower bounds, but we already now know of knots that people use but that do not fit in our model," Vejdemo-Johansson said. The scientists detailed their findings online May 27 in the journal PeerJ Computer Science. You did a great job, since most of the people are unaware about to tie the neckties. So by reading your post, i think they will get the idea regarding the same. So i think this content will be very useful for them.